These revised templates are current from 1 January 2017 and supersede previous templates. They incorporate the increase in the buy-out price for missed targets for target period 3 (2017-2018) and target period 4 (2019-2020) announced on 9 December 2016. 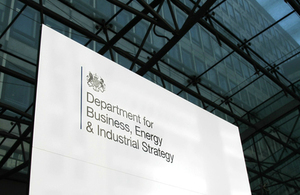 BEIS invites UK experts to express their interest in acting as Coordinating Lead Authors, Lead Authors, Contributing Authors, Review Editors and Expert Authors on a methodology report for the IPCC. Accreditation of prior Learning and Experience for Green Deal Advice Functions.